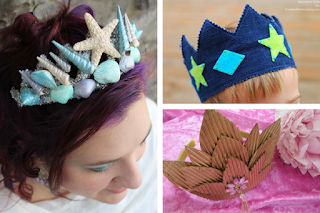 Looking for more DIY crown tutorials? Hopefully the paint on your shells is dry by now (if not, wait until they are - you can use a hair dryer to help them along if needed). I decided to add glitter accents two ways. 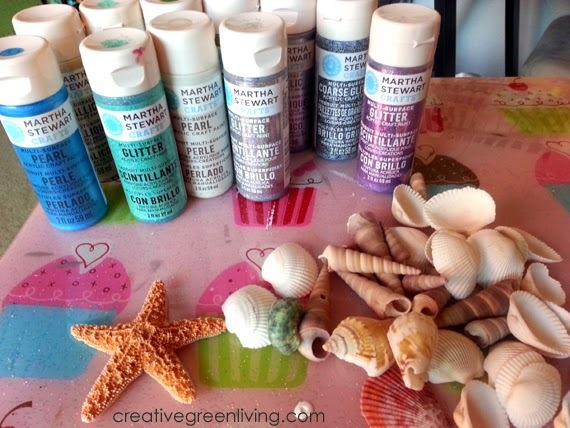 The first was to paint a line of the Glitter Finish Martha Stewart Decoupage on the edge of some of the clam shells then dip them in a small pile of silver glitter. 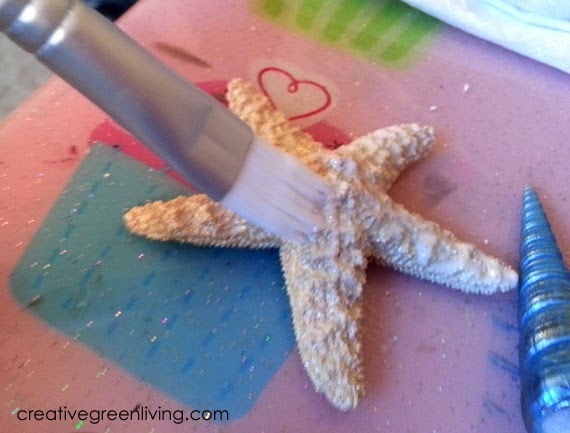 The second way was to coat the starfish and several of the shells in the decoupage medium. 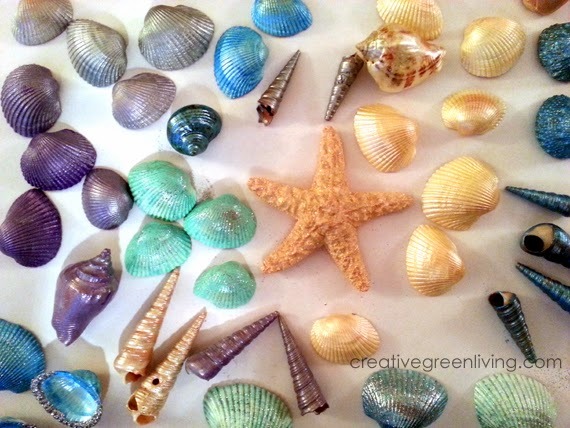 I love how it gave a subtle rainbow glimmer to the shells. It also sealed them and made them waterproof. Which is perfect in case our mermaid gets caught in the rain! Set these aside to dry completely before moving on to step 4. 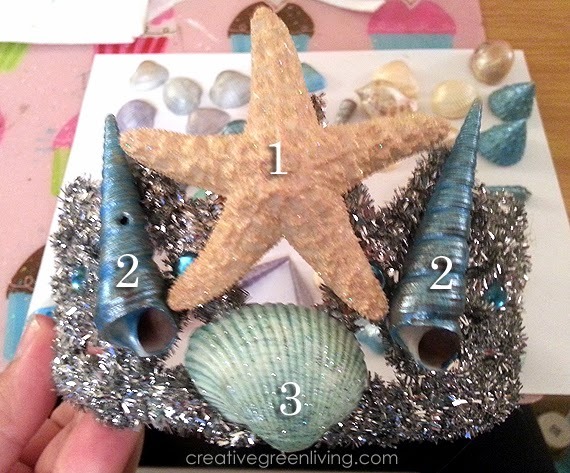 Use the hot glue to attach the shells to the crown. 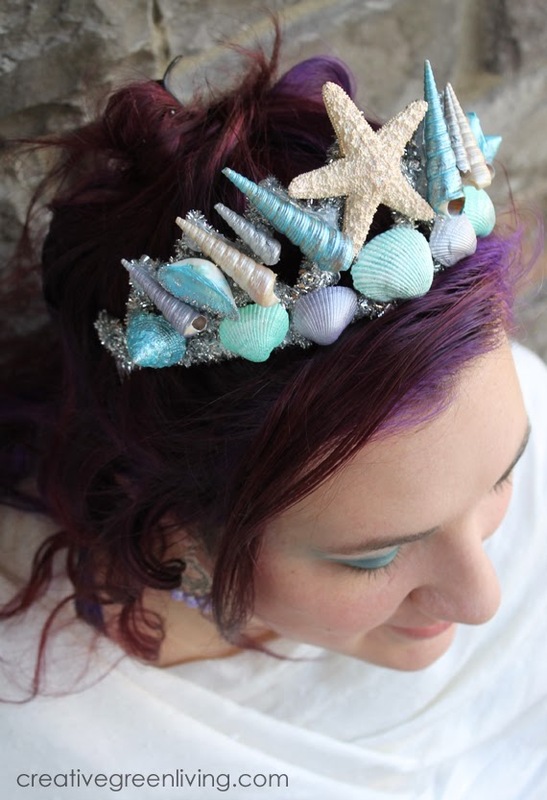 Because the starfish was my focal point on the front of the crown, I adhered that first. Next, I did the matching spike shells radiating out from the top. Then I added the clamshells along the bottom. I totally have a thing for symmetry so that's what I focused on...feel free to be way less neurotic than I am! 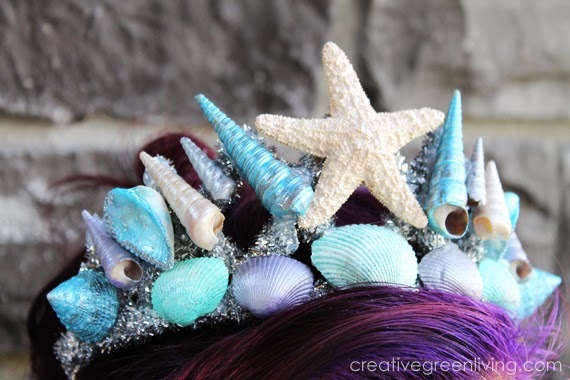 DIY mermaid crown step 5: Wear it! Once your mermaid crown is assembled you merely need to wait for the glue to set and you are good to go! Be sure to get the combs really worked into your hair when you wear it to avoid having it fall off your head. 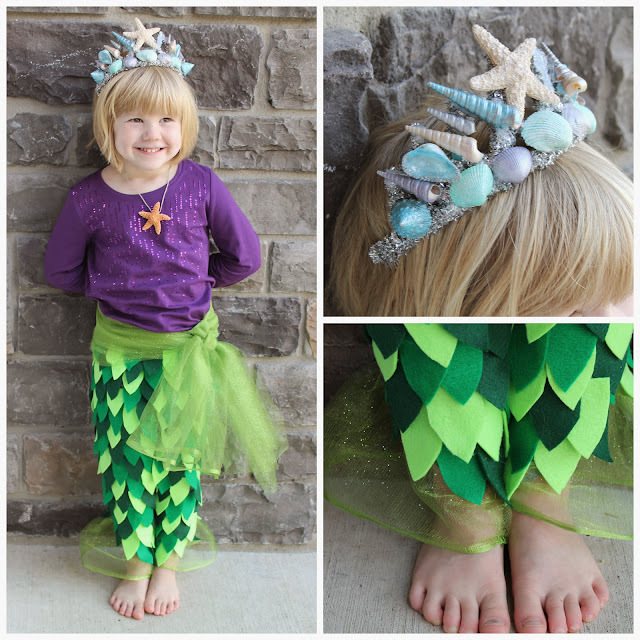 PS - If you want to see the full mermaid costume tutorial, check it out here. Do you like this post? 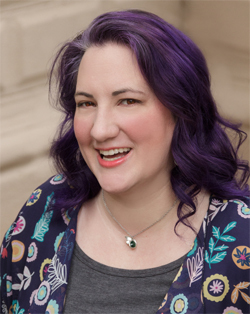 Subscribe to our weekly newsletter! 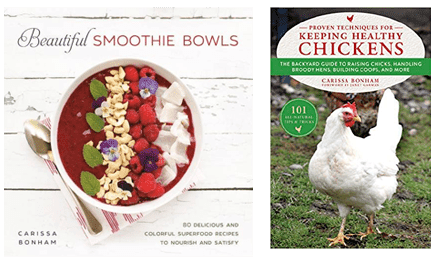 When you subscribe you can download our FREE Recycled Crafts E-book! 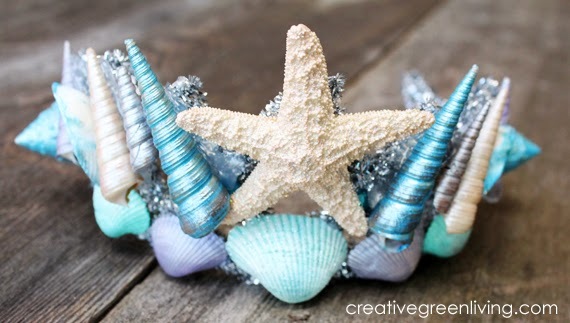 I love your tutorial on mermaid tiara's! 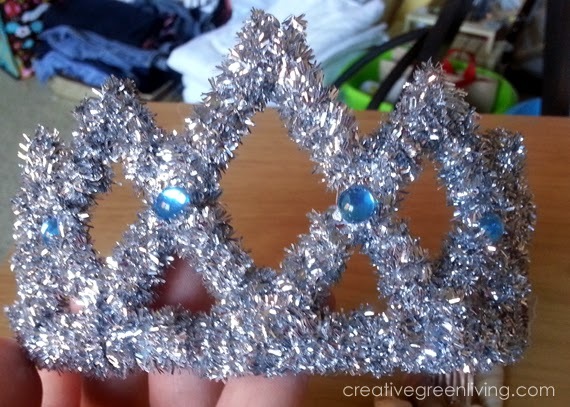 I'm inviting a few of my friends over to commiserate and make tiara's! Full credit going to you, Thank you! That sounds like fun! Please share pics on social media when you are done. I'd love to see them! I was wondering about the water proofing -- I have assembled a crown that I am very proud of I use E6000 glue, now I am thinking to put the decoupage medium over the whole thing for waterproofing. 22 year old daughter will want in water photographs of her costume! Most decoupage formulas are water soluble but Martha Stewart Decoupage Medium and Mod Podge Dishwasher Safe Formula are dishwasher safe after a 30 day curing period. 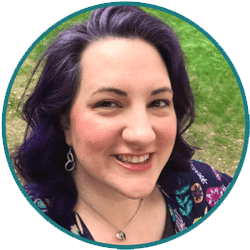 If you don't have 30 days, you could use a waterproof acrylic sealer (usually in an aerosol can)--it's not a terribly green option but it will be more waterproof than regular decoupage. 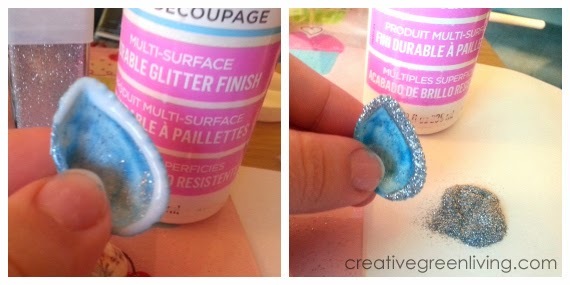 I love how you used the glitter paint! I made a mermaid bra this past Halloween - I wish I'd thought to paint the shells!